Getting married is one of the most exciting events in your life. The wedding day is all about you, and every decision should be yours. One of the first decisions to make is whether to go with a traditional wedding or an exciting destination Bahamas wedding. 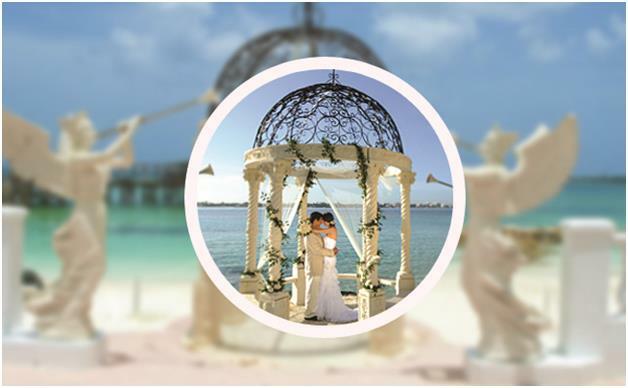 To make an educated choice, we have provided a handy guide explaining the benefits of choosing a destination Bahamas wedding over the traditional ceremony and reception. Smaller. True enough, often fewer guests will come to a wedding abroad. This simplifies the need for a bigger location, more food, or additional linens or favors. Smaller weddings are easier to deal with, period. Less needed. All of the excessive floral arrangements, draperies, and special lighting aren’t necessary when the beautiful beaches of the Bahamas serve as your backdrop. Your venue or planner will arrange for whatever you like, but if simple is your goal, a destination wedding is not out of the question! Fewer to feed. Again, a smaller wedding, which your destination wedding is liable to be, means fewer mouths to feed, favors to dole out, and programs. Invitation costs may be around the same, to give everyone a chance to come if they can, but everything after that is likely to be far less expensive. Less to decorate. Decorations account for a majority of most wedding-related costs. Table linens, flowers, altar decor, centerpieces, organza and tulle everywhere – and for what? A beautiful celebration, of course! But remember, in the Bahamas everything is beautiful! A destination wedding could truly cut down on decor costs. Built-in honeymoon. The Bahamas is one of the top five honeymoon destinations. While everyone else packs up and goes back home, stay another week, and enjoy a liberating honeymoon without extra travel expense – you’re already IN paradise! All-inclusive. Many destination wedding venues will offer all-inclusive packaging for catering, decor, and even accommodations. Without having to nickel and dime every individual piece of your wedding from a different vendor who is trying to make a profit, the costs are reduced for you. 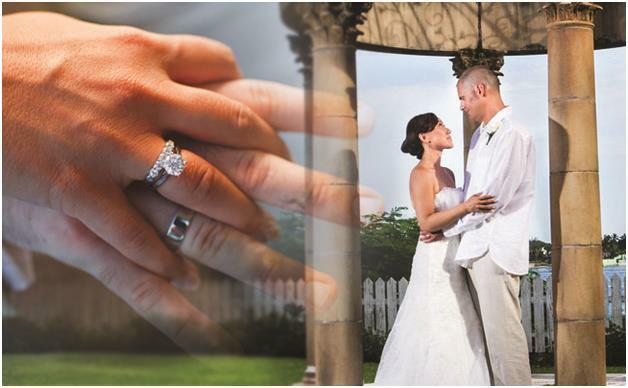 All-inclusive wedding packages mean less tipping, overhead costs, and worry. Impact. Chances are, you know someone personally who has gotten married in every venue local to your area. This church, that hotel, and those three banquet halls have already been privy to the dances and romances of your inner circle. Why not break the mold? Your Bahamian wedding would be truly memorable and unique! Not to mention, can you imagine the photos? Your wedding video, album, or canvas photo will be lustrous in comparison to the beautiful-but-common memorabilia of everyone else. Intimacy. Imagine being at your wedding and interacting with every single person who came. Seems like a dream, right? The truth is, at most large weddings of over 100 people, there is simply no chance for the bride and groom to scale the entire room in the hours available. With the small circle of close, dedicated friends and family who would attend a Bahamas wedding, the bride and groom are sure to spend ample, quality time with all. Not necessarily! Remember, a Bahamas wedding is saving you the cost of decorating an otherwise shabby venue and trying to make it look different than the six-hundred other weddings before yours. A destination wedding is also worth the investment because it is more picturesque, unique, and memorable than an ordinary, traditional wedding at home. Largely, the major costs of a wedding are paid per-person as well, so a smaller wedding abroad may end up less expensive than a huge soiree in your hometown. Absolutely false! Employ help. We can work with any venue you desire to ensure that your wedding package is all-inclusive with every feature as you dream it to be. The Bahamas is a great choice. Close to the U.S. and English-speaking, the Bahamas are an effortless choice for destination weddings. What’s more, there is no destination more picturesque or romantic than the Bahamas. The crystal-clear waters and ivory-white beaches are like no other, and the weather is perfect no matter which month you choose. 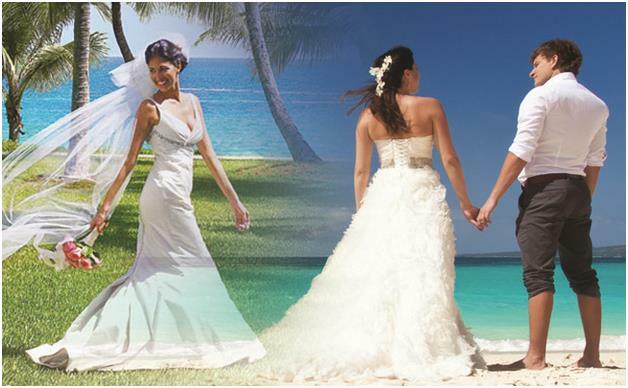 Let us help you make the perfect choice by suggesting paradise: host your wedding in the Bahamas! Still unsure? Talk to us at Chic Bahamas Weddings. We can work with you on pricing and planning to ensure your wedding is an affordable, unforgettable success.